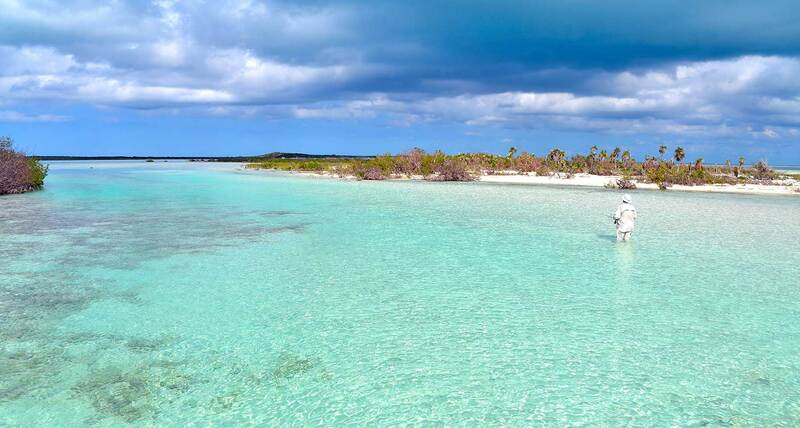 Two small islands in parts of the archipelago of the Bahamas, of nearby attractions and closer to nature. 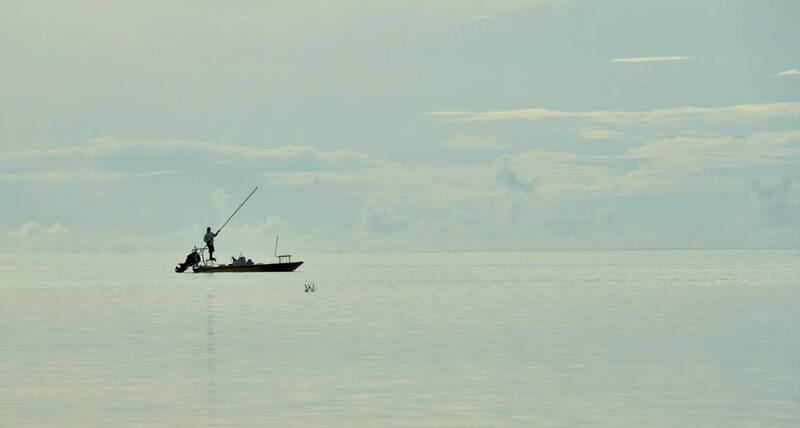 Large lagoons and a protected reserve make it a wonderful place to fish. 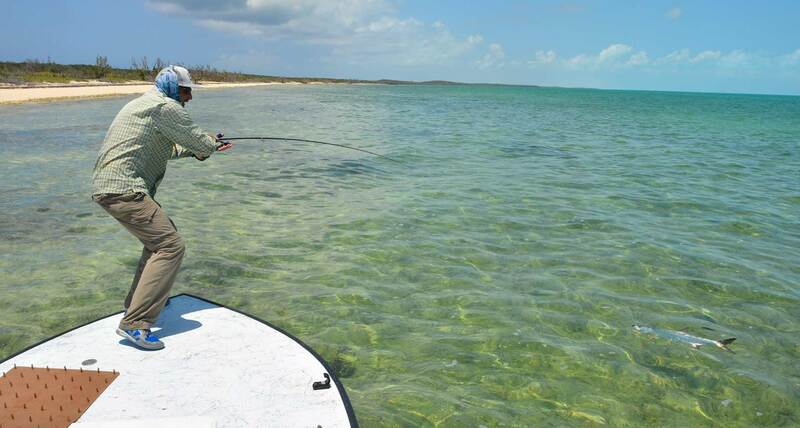 Crooked Island and Acklins have a perfect shallow-water biotope, home to uncountable bonefish but also home to permit. These two species roam the huge sand flats and mangroves that can be waded all day! 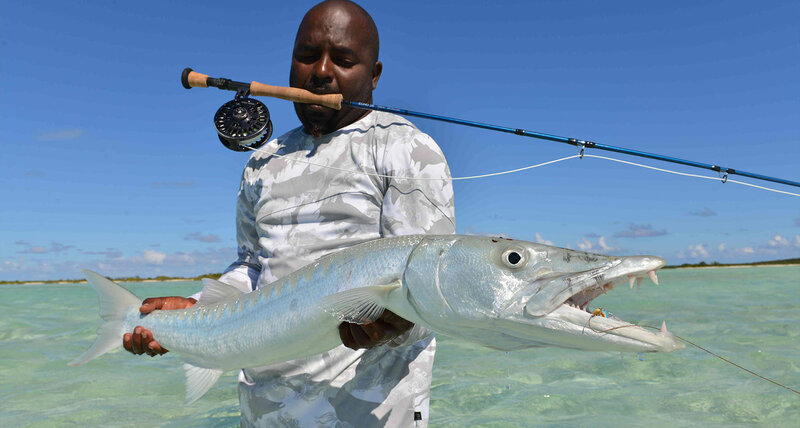 The average size of the bonefish is about 4 pounds, yet there are many big ones, too. 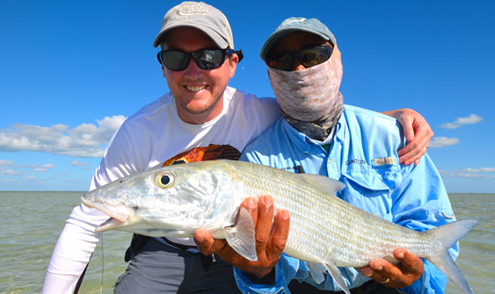 The record bonefish caught on the island went 17,6 lbs! 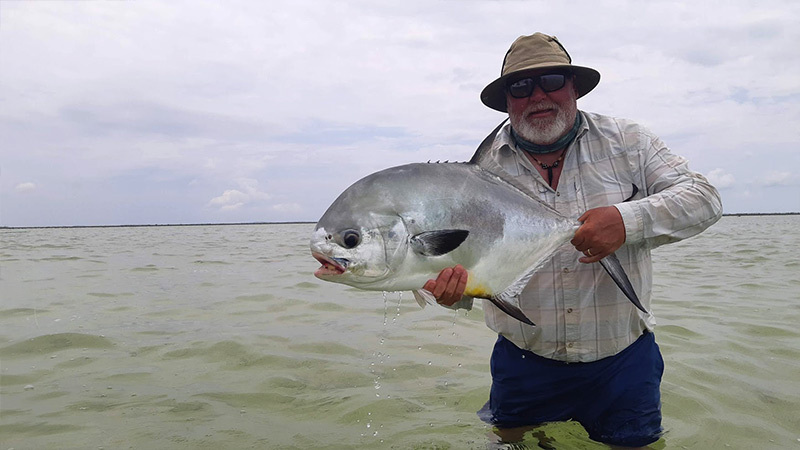 Permit are also present, on the flats, along the channels or following mudding rays, and opposed to other fishing destinations, they have rarely seen a fly, ever. 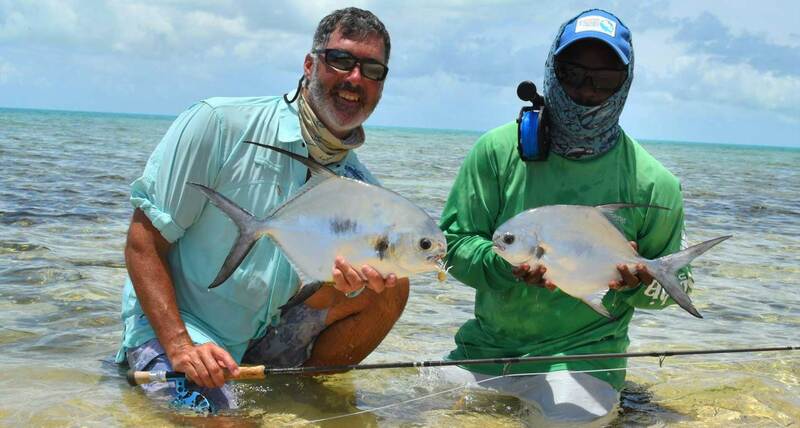 Triggerfish are also numerous, mainly on coral flats and will readily eat a well presented fly, barracuda will hold closer to the deeper water of the tide channels, some of them are really big, 45 lbs and better. Sharks, snapper, snook and jacks complete the smorgasbord of fish species present all year long. 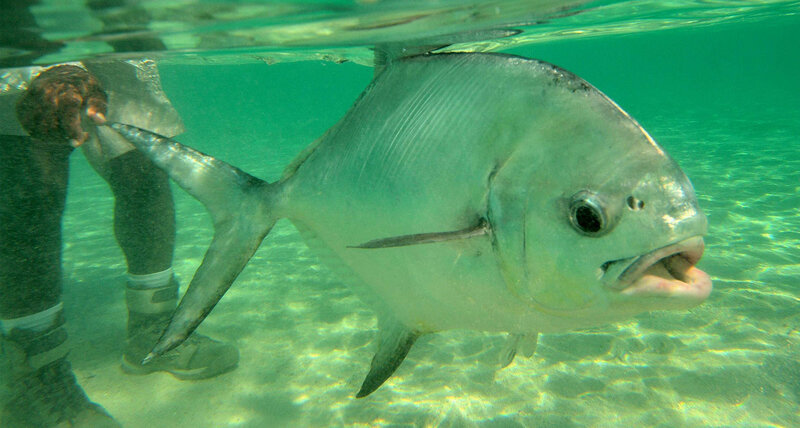 Tarpon are mainly found in spring and summer, even though there is a population of resident fish. Offshore, wahoo, tuna and dolphinfish are also present and can be fished for. 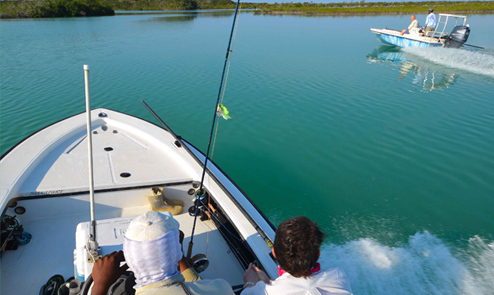 You will be able to take advantage of the exceptional fishing in these pristine Bahamian waters. It is definitely a flats angler’s paradise and rightfully called the “Bonefishing capital of the World”! Once you leave Nassau, you will soon be landing at our vast atoll which is over 140 miles in diameter. You may not realize it, but you have just discovered a a very remote location that is largely isolated, time-forgotten and magnificent. Just to give you an idea about its size: you could fit the better part of all of Cuba’s shallow-water fishing areas into the lagoon. All this but without the same amount of fishing pressure! Miles after square mile of pristine sand or coral flats, surrounded by crystal clear waters which are some of the clearest in world. The 280 inhabitants of Crooked Island live in only two or three tranquil and peaceful villages, typical for the area. Three consecutive cars following each other on the road are considered a traffic jam here! 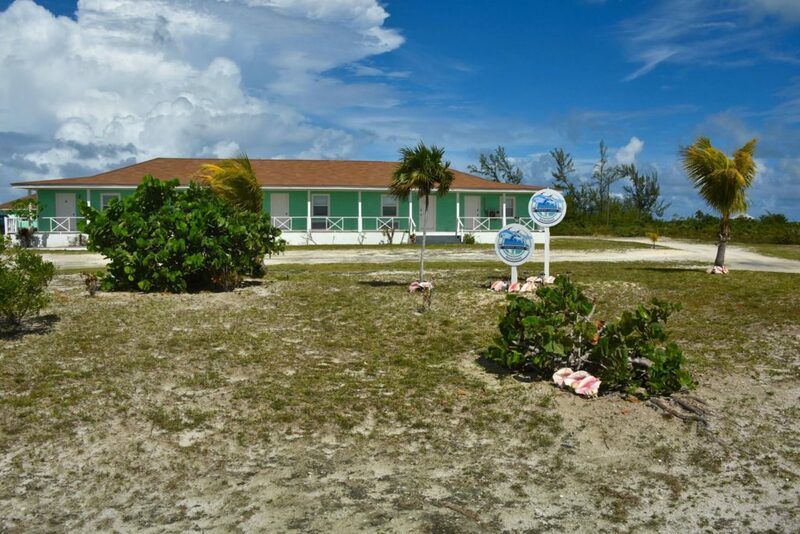 The lodge gives access to a large part of the vast lagoon where colonies of pink flamingos are breeding in season. Many areas are a snorkeler’s heaven; beach-goers will fall in love with the fine sand and many a coral cave is waiting to be discovered in the hills. There are quite a few blue holes in the lagoon, some of which are connected to the open ocean, miles away! We can organize excursions to some of the smaller cays that are home to iguanas and ospreys, as well as fish hawks that have their nesting areas here. Speaking of fish, the waters are teeming with all sorts of interesting fish species, of course.